Using an expensive DR Flat Panel in a mobile environment can be extremely risky. You can easily reduce the burden by protecting your investment with Lock-N-Secure® and Lock-N-Secure® II DR Flat Panel Protectors containing multiple layers to absorb impact and increase weight capacity. 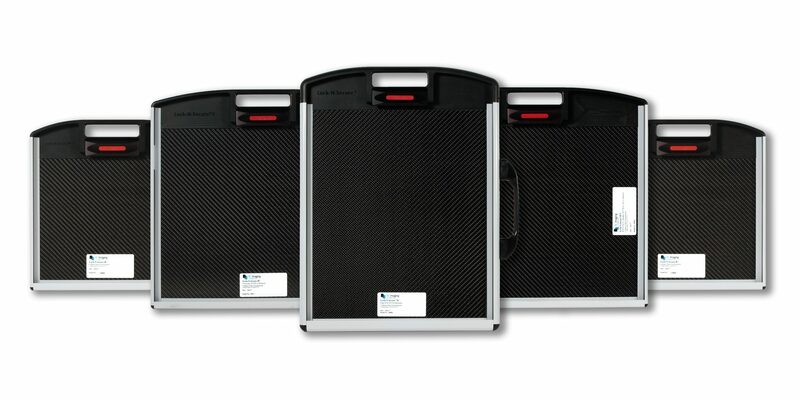 RC Imaging’s DR Flat Panel Protectors are designed for all wireless and cassette sized panels. Lifetime Warranty, Excludes Grid. This rotational tray eliminates the need to remove the wireless digital 14×17 (35cmx43cm) receptor from the tray when changing orientation. A light pull by the receptor handle rotates the tray to either the portrait or landscape detent position without the need to physically remove the costly DR wireless panel.